During what is now California's worst drought in at least 1,200 years, agencies are ambivalent over how to convince Angelenos to cut water usage. Potential options include everything from educating residents to rationing, fines, and threats. While a recent executive order was issued by Gov. Jerry Brown requiring a 25 percent cut in water use from 2013 levels, communites are left to struggle with how exactly to achieve that goal. Part of the solution may be getting the wealthy to cooperate with working class people. Retired resident Dorothy, 65, has lived in LA's Palms neighborhood for 11 years. She told the People's World, "For people who have a decent salary, life is quite comfortable. But we do have a big problem with the water. Unless we cut consumption by a quarter or even a third, we could end up with a real disaster. And so far, many people are not doing their part to save water, despite what they say. They're just going about business as usual. And bottled water and those types of solutions are sometimes out of reach for the poor." The woman, who emigrated from Germany, said she never ceases to be amazed by how people come along to make a quick buck off of every crisis. She referred to the recent trend of lawn-painting companies - organizations that dye the dried lawns of the upper class a healthy shade of green to keep up appearances. One such company is LawnLift, started by 45 year-old mortgage broker Jim Power, who said, "Most homeowners have no clue how to water their lawns" anyway. According to the LA Times, Escondido resident Sean McDaniel, holding his two pet poodles and gesturing at his emerald lawn, said, "I painted the lawn two days ago." One can buy a 32 oz. bottle of this lawn paint from LawnLift's website for the not-so-low price of $45.95. "It's all well and good that the wealthy are having their lawns painted green," Dorothy remarked, "but that's not a solution." Newsha Ajami, director of Urban Water Policy at Stanford University's Water in the West program, said communities need to employ a wide range of conservation measures, rather than just expecting residents to act on their own. She said that levying fines for wasting water is likely a fast way to change behavior. "You need to quickly get to the point," she said. Jonathan Parfrey, a former LA Department of Water and Power commissioner and executive director of Climate Resolve, added, "We need to soak the rich for soaking their lawns. You gotta price water accordingly so it gets their attention." One extreme, said Beverly Hills resident Daniel Fink, could be curbing lawn-watering entirely for a while. 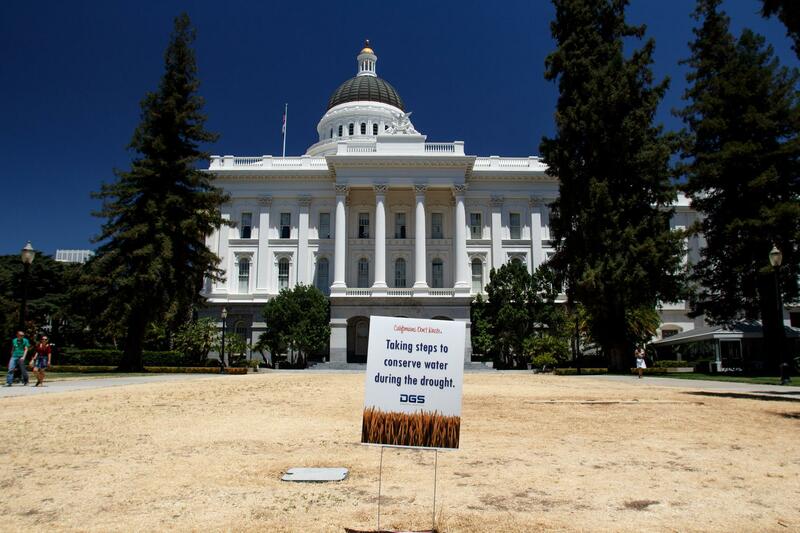 "California is in the fourth year of the worst drought, and has about a year's worth of stored water left," he said. "But one wouldn't know it looking at all the still-green lawns. We have to stop watering our lawns. The water just isn't there anymore. I know that would be unpopular, but is it better to wait until the taps run dry?" This drought, Dorothy lamented, "is one example of how we're all going to suffer from climate change." This article was originally published in People's World by Blake Deppe. 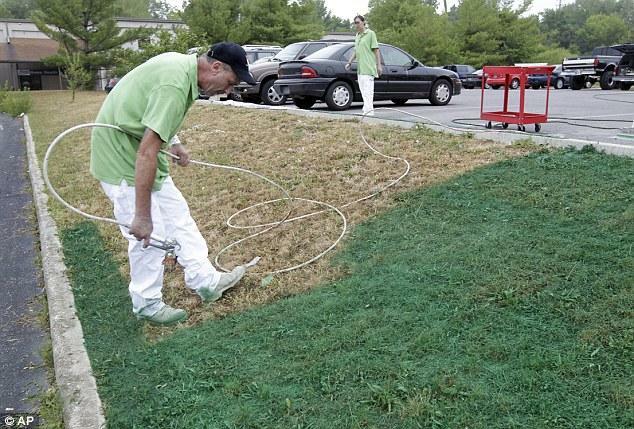 Painting your lawn green is insane. But what is even more insane is that you must do this due to regulations that - despite the drought - are forcing you to keep your lawns green. It's crazy!